This page covers what you might find muck diving and some of the most well-known spots in the region. There’s probably not a strict definition of muck diving – though there are many places that claim to have invented it! For the uninitiated, the ‘muck’ element refers to a silty-sandy bottom, with a distinct lack of rock and therefore also coral. Underwater macro photography or ‘Macro’ – refers to the lens type required to capture something half the size of your pinkie, as opposed to ‘wide-angle’ which is necessary to get the whole whale shark in shot. And critter typically refers to something that’s not the classic oval-with-a-tail kind of aquatic creature, not necessarily just another invertebrate. 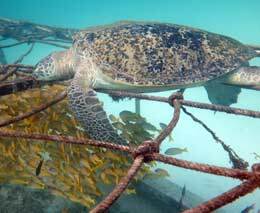 (There’s a neat little classification of marine life in this post on the SSI Marine Ecology course). Muck diving is obviously not for everyone, and for an omnifarious diver (like me) – it’s simply a matter of scale. When you’ve seen all the big stuff and the oceanscape or seabed appears empty, just change your depth of field and look more intensely at a smaller area. 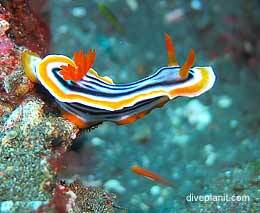 There is always something in that microcosm, even if it’s just a little nudibranch – a colourful slug that breathes out of its arse. 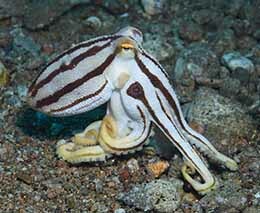 Probably another defining element of critter diving – the critters need to be really high up on the weirdness scale, and demonstrate some unique behaviour. Knowing those behaviours is part of the allure of muck-diving. 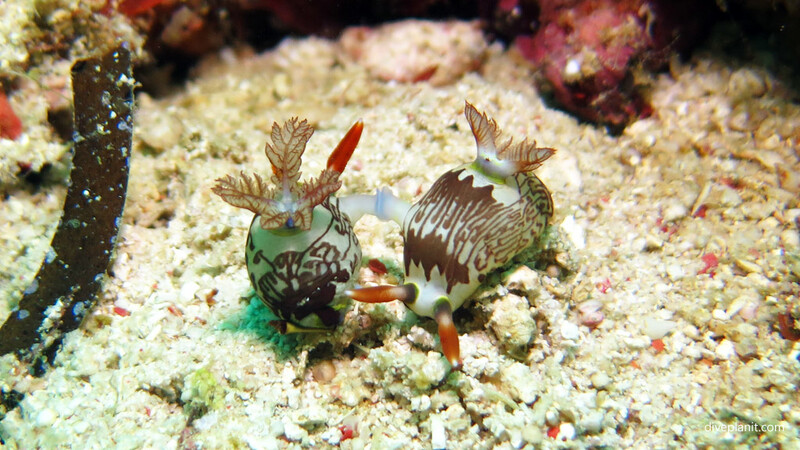 For example, knowing that this is how nudi-babies are made, makes it much more interesting than just a pair of nudis high-fiving the goal they just scored against the cephalopods. Often you’ll find muck diving in the shallows close to shore or under a jetty where there are also colourful coral reefs a little further out. 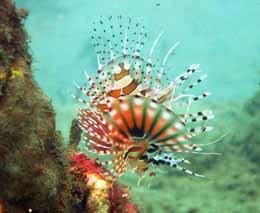 You can even find muck critters on the sand at the base of a 20m seamount, reef wall or even within and around a wreck. Though muck diving is mostly about photographing those critters, I have seen a diver with a large (scientific laboratory sized) magnifying glass just looking. The fact that critters are usually slow-moving and colourful makes them great subjects for photography. Let’s face it – the ability to enlarge something the size of a pea to that of a peacock does bring out spectacular detail not usually visible to the naked eye. 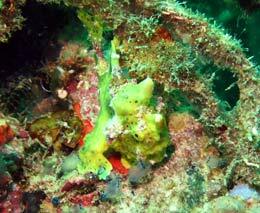 In this section we call out a few notable muck/macro dive sites around the region. 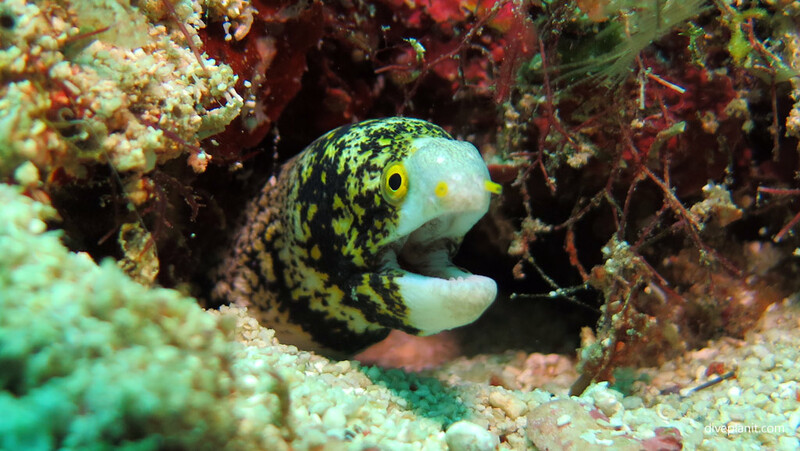 If you want to experience some muck diving locally before heading overseas, Chowder Bay in Sydney’s Clifton Gardens and Nelson Bay’s Pipeline would be excellent places to ‘get your eye in’. 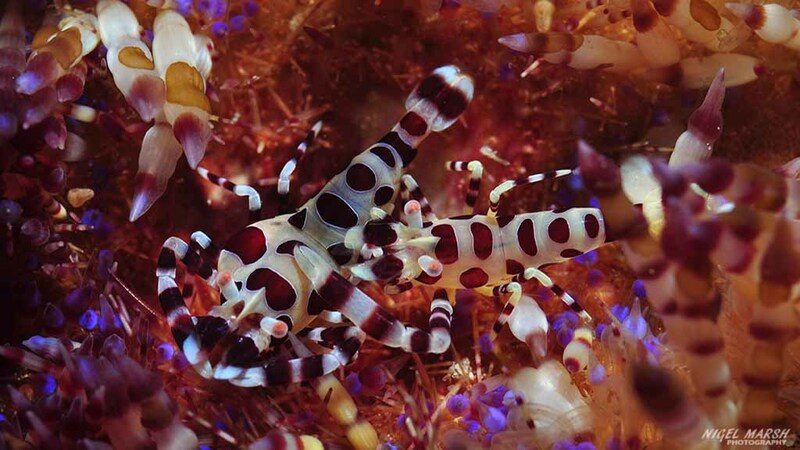 The Lembeh Strait – between the island of Lembeh and the North Sulawesi mainland on the northern tip of Indonesia is one of the world’s best dive areas for ‘muck diving’, ‘critter diving’ or ‘macro diving’ – whatever you choose to call it. It’s a place where the majority of sites are muck diving sites, and the majority of resorts cater for keen photographers with stacks of photographic gear, and arrange dives at all times of day and night to assist guests to capture that rarest of shots. Bali with its beach and surfing culture does not leap to mind as a muck diving destination, but thanks to the fact that it’s pretty much just a collection of (mainly extinct) volcanoes – it’s largely surrounded by sand – and much of that is black. The Pemuteran Jetty dive site at Pemuteran Beach in Bali’s north west is considered one of Bali’s best muck dives with everything from thorny seahorses to rosy spindle cowries. 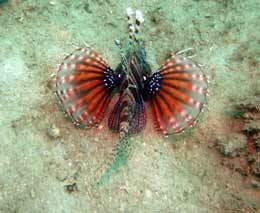 The USAT Liberty wreck in Tulamben lies on a sandy slope where you’ll find plenty of weird and wonderful critters. Muck diving doesn’t necessarily mean murky conditions, (though that usually depends more on your buoyancy control than anything else). In the Philippines most muck sites are experienced in clear water. 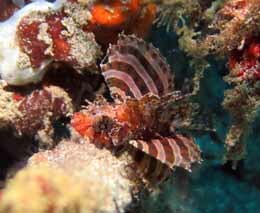 A good dive guide or critter spotter can make a good muck dive into a great muck dive, and at some dive resorts in the Philippines you can pay extra to have your own private guide, which is very handy if you are a serious underwater photographer. 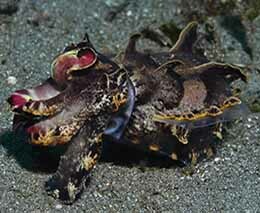 In the Philippine’s north, within driving distance of Manila is Anilao, a well-known muck diving destination. 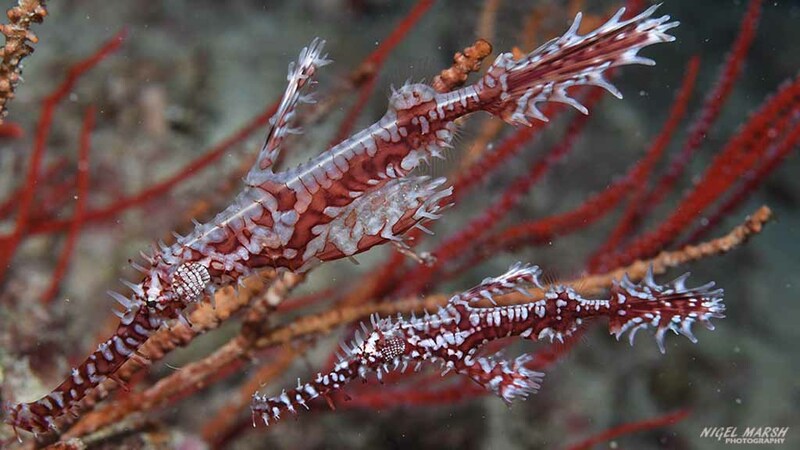 It has many great muck dives, but the Coconut Point dive site on the northern side of Tingloy (or Maricaban Island) is probably considered the premier muck diving site in Anilao: here you’ll find pipefish, boxer shrimps, cleaner shrimps, ghost pipefish & the main attraction: the very elongated coral shrimp. 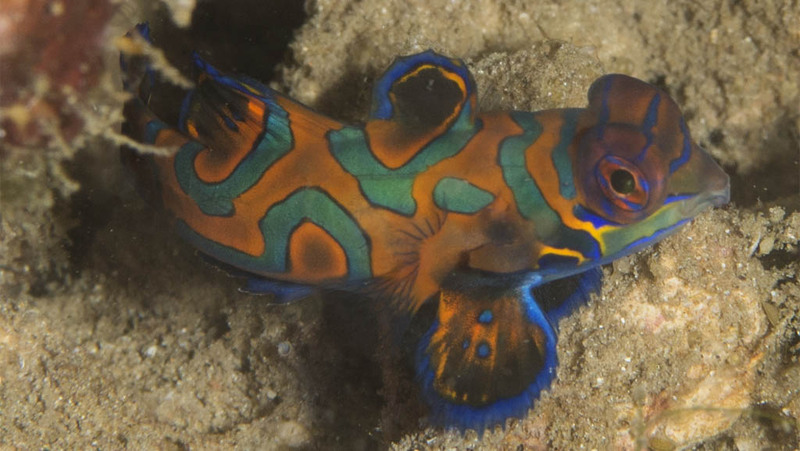 At the nearby Secret Bay Dive site, a black sand muck dive with an amazing array of critters, you’ll find oriental sea robins, pipefish, demon stingers, thorny seahorses, dragonets, nudibranchs, mantis shrimps and snake eels. Secret Bay dive site makes a good night dive too. Across the Verde Island Passage, lies the very well-known Puerto Galera. 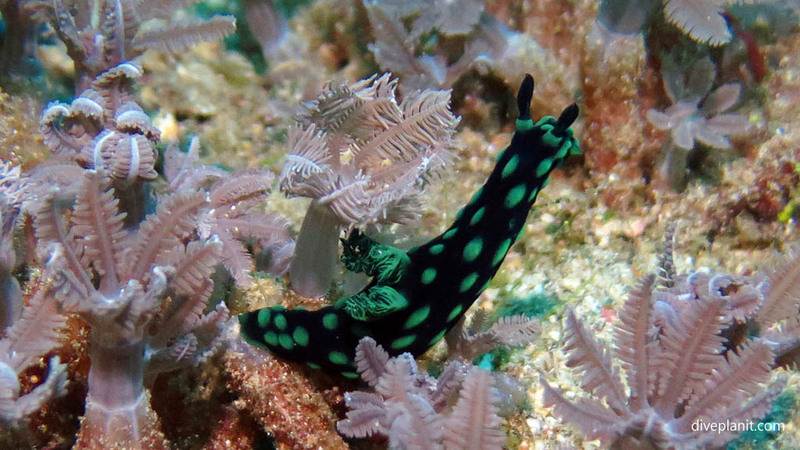 One of the best things about Puerto Galera is the variety of dive sites, and that at most sites divers can explore several different environments in a small area. 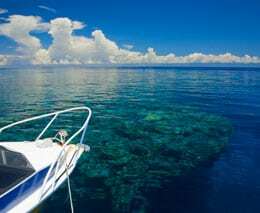 There are not too many places where a diver can start a dive on a scuttled ship, then explore a sandy mucky bottom and end the dive on a coral reef. The Sabang Wrecks dive site is one of the most popular dive sites off Puerto Galera, is a case in point. Three scuttled boats are the main attraction at the Sabang Wrecks, but there are also coral gardens, muck and a wealth of marine life. The coastline off Dumaguete is dotted with incredible muck diving sites, and everyone is home to a good population of frogfish. But this Philippines destination has much more than frogfish. 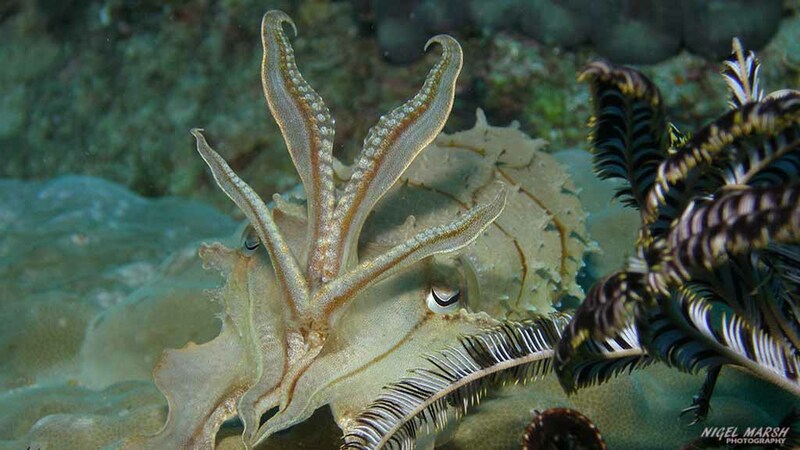 Other muck critters commonly seen are wonderpus, flamboyant cuttlefish, blue-ringed octopus, coconut octopus, mantis shrimps, nudibranchs, pipe horses, seahorses, wasp fish, sea moths, leaf scorpionfish, xeno crabs, snake eels, stargazers, demon stingers, coral shrimps and ghost pipefish. Bonnet’s Corner Dive site is possibly the cephalopod capital of the world and it literally brimming full of octopuses, squid, and cuttlefish. 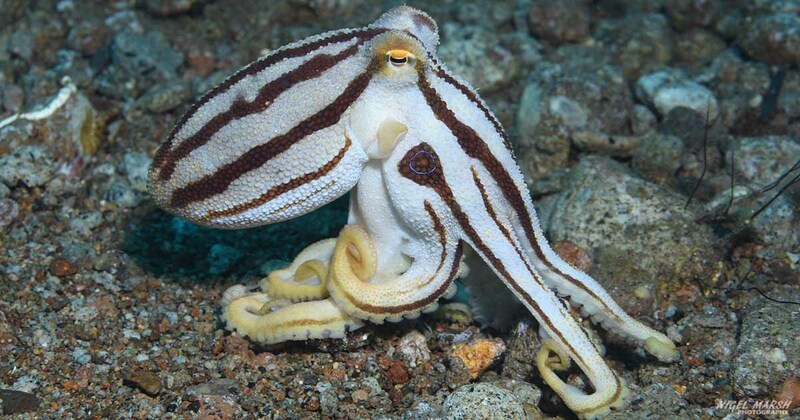 There you’ll see the wonderpuss, greater blue-ringed octopus, the rare mototi octopus, and even the rarer algae octopus. When the Malay authorities decided to close the resort on Sipadan and limit the number of divers allowed to visit (a tough but good decision), some other dive sites needed to be found to keep those divers entertained while they wait for their dive days on Sipadan. Mabul is a sand island, half of which is surrounded by a low sloping coral reef, Kapalai is hardly more than a sand bank with no reef at all, but add in an extensive array of artificial reefs and you create a thriving muck diving scene. Though some of the structures created are more like adventure playgrounds for orangutans rather than fish, there are plenty of fish and critters that now call those places home. 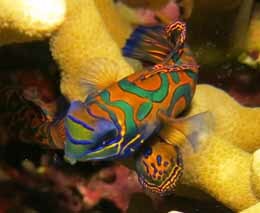 ‘Froggys’ is a classic example, named for the many different frog fish you’ll see here, but you’ll also see plenty of nudis, popcorn, Crinoid and peacocktail shrimp, pipefish, sea stars and eels of all kinds. 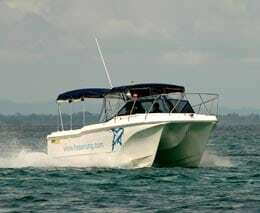 On the other side of Sabah, in the Tunku Abdul Rahman Marine Park (TARP) near Kota Kinabalu (KK), you’ll also find a few muck diving sites, such as Sapi Shore, home to burrfish, razorfish, lionfish, pipefish and lots of juveniles. Papua New Guinea is probably best known for its colourful coral reefs, and pelagic action, but it too has a number of muck diving sites. Each of PNG’s resorts usually has its own muck-diving site as an extension of its House Reef. 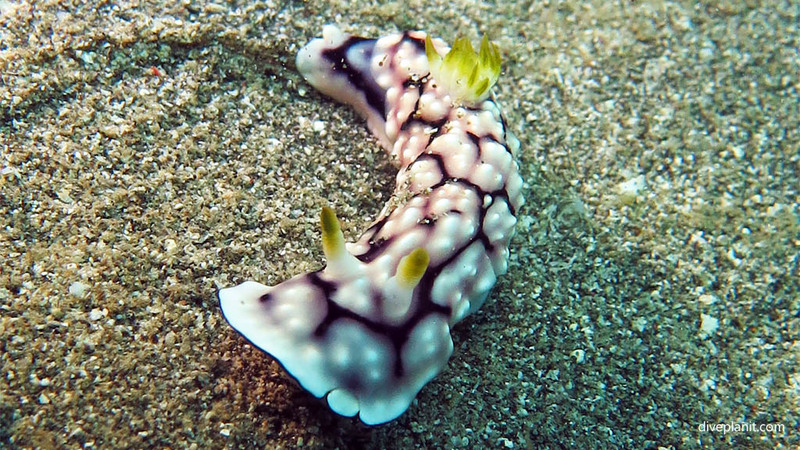 Tawali has Lawadi Beach – a classic muck dive from a pebble beach which transforms to black sand and mud with plenty of nudis, pipefish, anemones with shrimp and crabs. At Lissenung Island there is some great muck diving available in shallow and sandy spots in close proximity to the island. 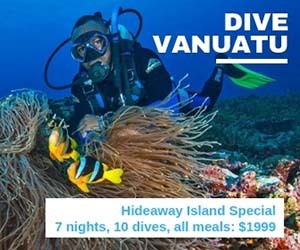 Around Tufi are sheltered fjords ideal for muck diving, and the wharf offers the opportunity to encounter plenty of cool creatures – loads of pipefish, stone-fish, ghost pipefish, nudibranchs, flatworms and even some resident mandarin fish.